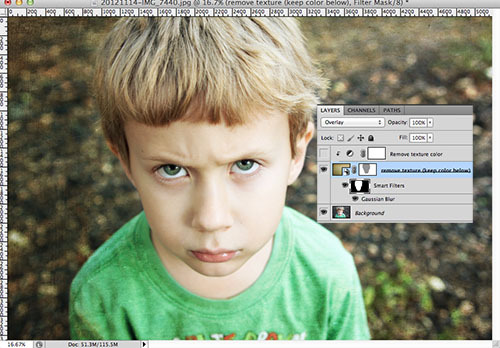 The CoffeeShop Blog: CoffeeShop Magic Texture Pro Photoshop-ONLY Action! CoffeeShop Magic Texture Pro Photoshop-ONLY Action! I want to introduce one of my new texture actions, CoffeeShop Magic Texture PRO PS! 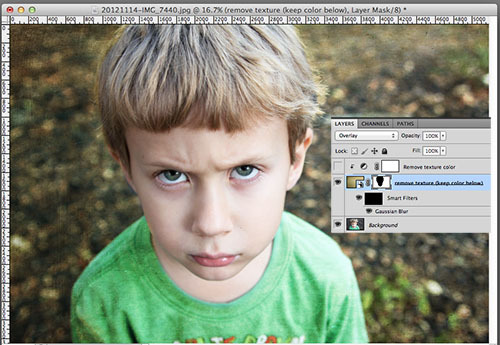 This action uses a smart filter so it only works in Photoshop (not PSE). 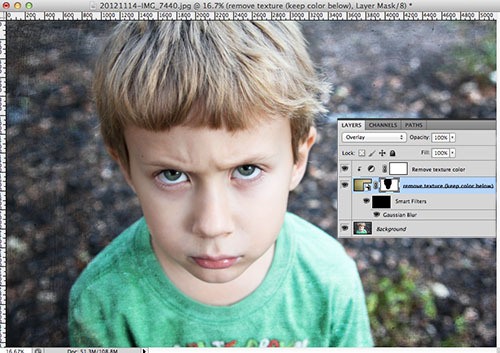 You need to be comfortable using layer masks to use this action. I will be posting a few more texture actions that do work in both PSE and Photoshop, including the one that automatically removes the texture from skin in portraits, but this is a stand-alone action that should be part of your Photoshop toolbox. Magic Texture PRO is your one-stop action to quickly add textures to your images (portraits, landscapes, fine art, etc.) 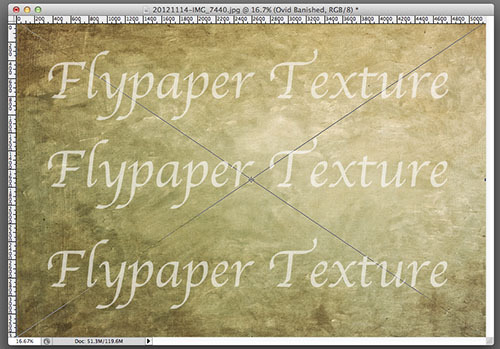 and allows full customization of the texture application. Remove the texture color selectively, erase the texture from areas of your image while leaving the texture color, add multiple textures, and even remove all of the texture from the face while leaving just a hint of the texture color. 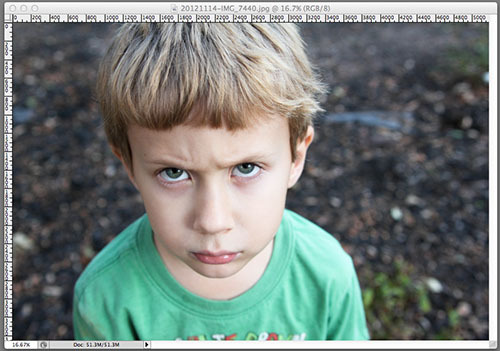 THIS ACTION ONLY WORKS IN PHOTOSHOP, NOT PSE! Open your image and make sure to flatten it. Start the action and it will prompt you to open your first texture. Select your texture and the action will place it on your image. Adjust to fit. I used Oval Banished from the Spring Painterly set from Flypaper Textures in this tutorial. 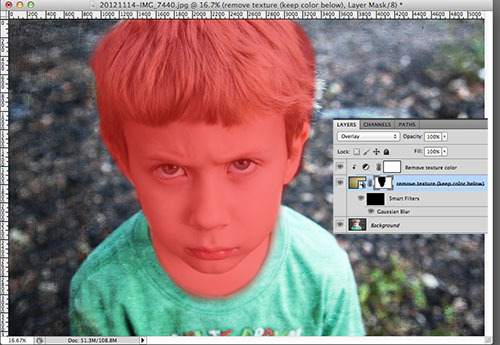 The action will prompt you to select the blending mode, which I set to Overlay in this example. You can also adjust this later after the action is finished running. When the action is finished, you will see the image with the texture applied. If you are happy with the edit, then simply save at this point. However, if you want to selectively apply the texture and texture color, please read on. If you want to remove the color from the texture, turn on the top layer. You can use the layer mask on this layer to add back in some color in selected places if you wish, but I don't have a screenshot of this. The middle layer is the texture with a white layer mask next to it (used to remove the texture AND color) and a smart filter with a black layer mask below (used to remove the texture but leave the original texture color). I want to remove the texture from Imp's face, so I alt-shift clicked on the layer mask "Remove Texture" (not Smart Filters) so wherever I paint off the texture it will appear red on the image. This step is not necessary, but it makes it easier to see what I are doing. I used a soft black brush in normal mode at 100% opacity to paint over his face. 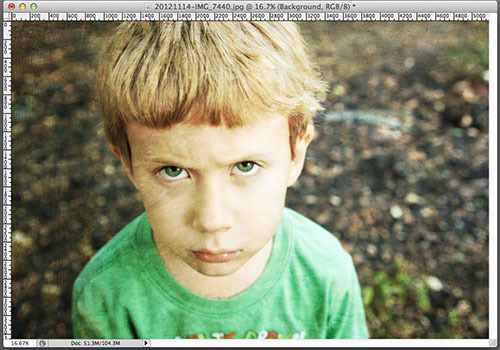 Alt-shift on the layer mask again to remove the red (if you added it) and see your results. Now the texture has been removed from the face. If you are happy with this edit save your image. If you want to add the texture with its color intact read on. 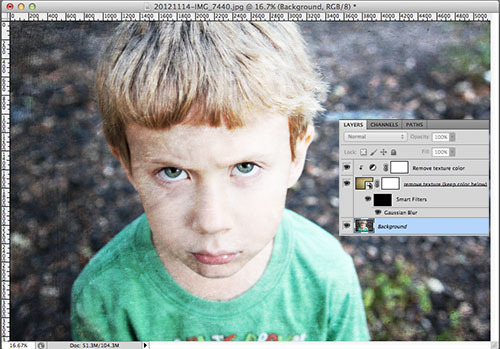 Make sure "Remove Texture Color" (the top layer) is turned off. In this sample I quickly painted the texture off Imp's skin using the "Remove Texture" layer and a 100% opacity black soft brush. This sloppy edit is OK, but it was difficult to completely remove the texture around the edge of the hair and I think the color of his face is too cool against the warmth of the background. I usually prefer to blend the skin in more by keeping some of the texture color intact. So I clicked on the "Remove Texture" layer mask and filled it with white to add all of the texture back on the skin to start over. Whenever you want to start fresh with a layer mask you can fill it with white or black to remove all of your brushstrokes. Then I clicked on the Smart Filter black layer mask and used a 100% opacity white brush to remove all of the texture on his face while keeping all of the texture color (the Smart Filter Gaussian-blurs the texture). This made him too yellow, so I clicked on the "Remove Texture" layer and painted over his face with a black soft brush at 50% opacity (gray) to remove half of the texture color. This is still too yellow, so I could go back with a low opacity brush to remove more (maybe 10-20%). I usually try to remove 100% of the texture color from eyes. Now there is not texture on his skin, but some texture color remains. 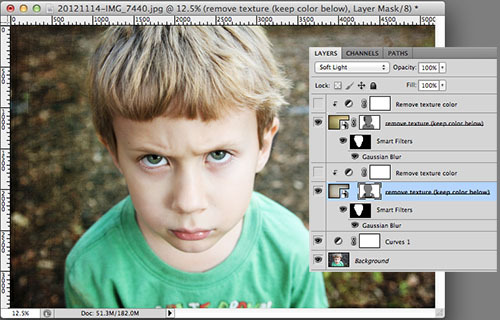 You can continue to play with the layer masks until you are satisfied. If you want to add additional textures, start the action again. Once your new texture has been added you can either paint over its layer masks as you did on the first texture, or simply copy the layer masks from above and apply them to the new texture. 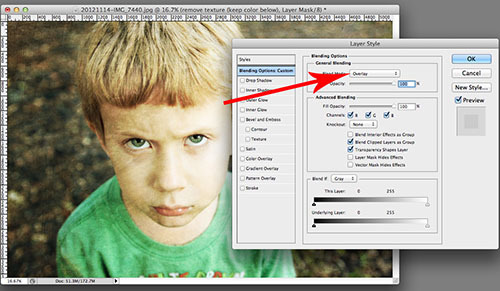 To copy layer masks hold alt and click on the layer mask you wish to copy and drag it down to the new texture layer and click "OK" to add it to the new layer. I usually spend a lot of time on one texture layer and then copy the layer masks to any new textures I add. You can then tweak each texture. This sounds really complicated but once you play with this action for a few minutes it will make sense and allow you to do your texture edits in just a few minutes. 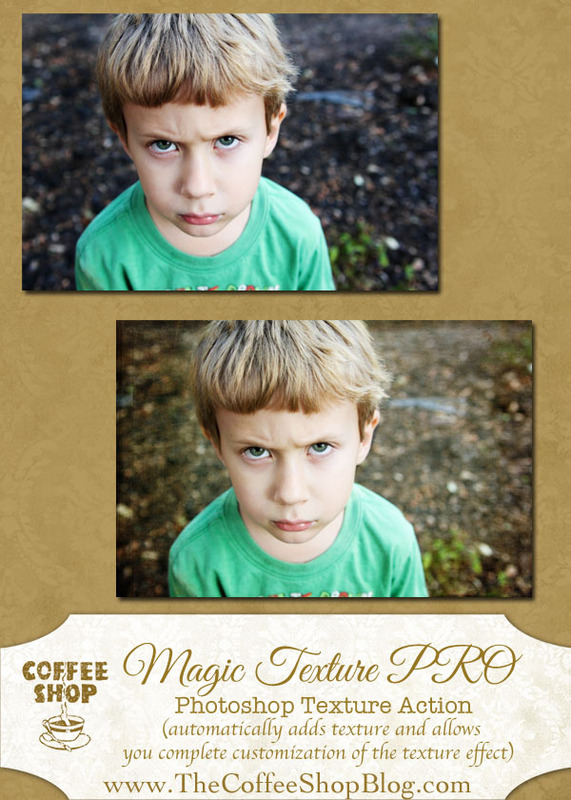 Download the CoffeeShop Magic Texture PRO Photoshop-Only Action. You can also download it here. That texture effect is amazing. Love all your actions, thank you for sharing with us!! I'm having a problem, first time ever with any of your actions. I'm using CS4, when I run the action, as soon as it gets to "place" it pops up an error message (image is flattened before running the action) saying the place command isn't available for this document. I have a screen shot if that would help...thanks in advance!! I'm curious...you said you'd be making PSE texture actions. How will they be different from your previous ones? More options? Just curious. I'm just now figuring out how to use them and I'm having a lot of fun! Thanks for sharing!